Pairing Mode Samsung Gear Circle - To use the Circle, you must pair it with another device. After pairing with a device, the Circle will automatically connect to the device in the future.You can connect the Circle to other devices using the Samsung Gear app or via Bluetooth. To avoid problems when connecting your device to another device, place the devices close to each other. Ensure that your device and the other Bluetooth device are within the Bluetooth connection range (10 m). The distance may vary depending on the environment the devices are used in. Ensure that there are no obstacles between the headset and a connected device, including human bodies, walls, corners, or fences. Do not touch the Bluetooth antenna of a connected device. Bluetooth uses the same frequency as some industrial, scientific, medical, and low power products and interference may occur when making connections near these types of products. 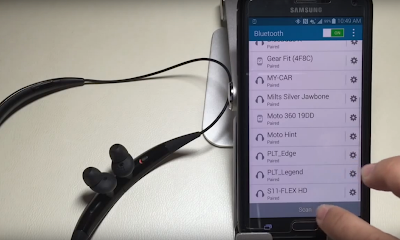 Some devices, especially those that are not tested or approved by the Bluetooth SIG, may be incompatible with the headset. Do not use the Bluetooth feature for illegal purposes (for example, pirating copies of files or illegally tapping communications for commercial purposes). 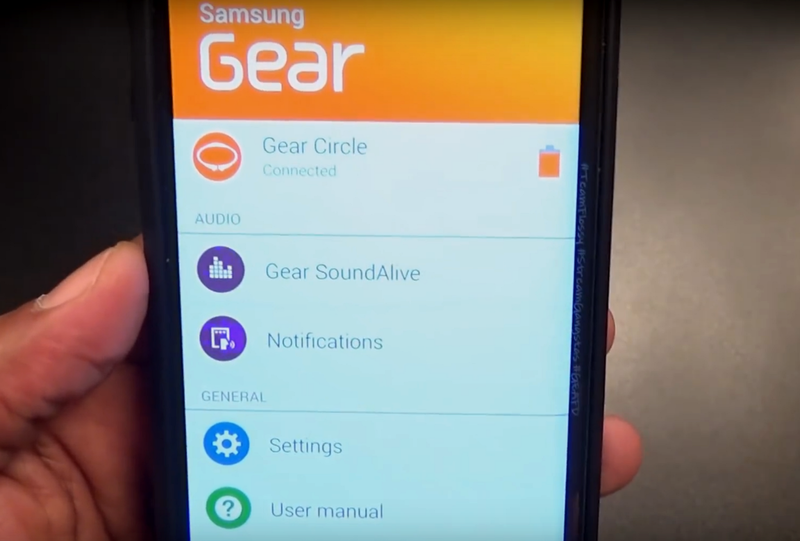 Install the Samsung Gear app on the other device and connect the Circle to the device.The Samsung Gear app is available for Samsung smartphones (Galaxy Note 5, Galaxy S6, S6 Edge, S6 Edge Plus) that have more than 1 GB of memory and runs Android 4.2.2 or higher. Other device Download the Samsung Gear app from GALAXY Apps. You can also visit apps.samsung.com/gear to download the Samsung Gear app. Other device Turn on the Bluetooth feature. Circle Turn on the Circle. When you turn on the Circle for the first time, the Circle automatically enters Bluetooth pairing mode. The status indicator flashes green, blue, and then red for 3 minutes. Other device On the Apps screen, tap Samsung Gear. Other device From the search results, tap Gear Circle. Other device Read and agree to the terms and conditions, and then tap Finish. When the devices are connected properly, the Circle will beep and vibrate. Other device Access the Bluetooth menu and search for Bluetooth devices. When the devices are connected properly, the Circle will beep and vibrate.